Parking spots apparently aren't immune from the recent surge in San Francisco real estate prices. A spot in the city's trendy South Beach neighborhood sold last week for $82,000, the San Francisco Chronicle reported on Thursday. The 8- by 12-foot parking space is in an enclosed garage in a condominium building near the San Francisco Giants' ballpark. A Porsche SUV was parked in it on Thursday. The Chronicle said the unidentified buyer did not respond to interview requests. 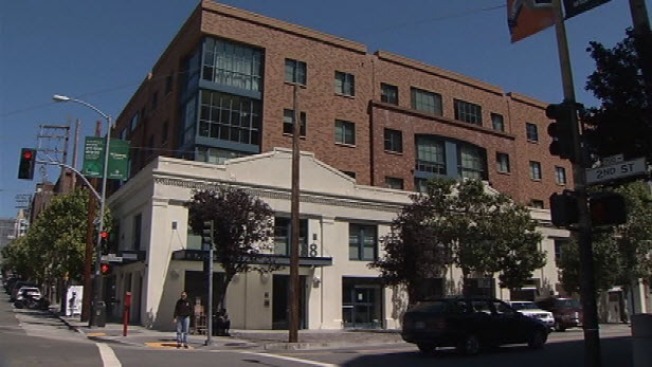 While it may seem like a lot of money, real estate agents said parking could be a good investment in densely packed San Francisco, where vehicle spaces go for a premium. They can add as much as $100,000 to the purchase price of a property or be rented out at rates of $400 to $450 a month - the going rate in South Beach. Sullivan said he sold a parking spot in the same building at the height of the last real estate boom for $95,000. Overall, the city has seen real estate prices climb. Home prices in San Francisco grew by 22.2 percent in March compared with a year ago, second only to Phoenix among U.S. cities, according to The Standard & Poor's/Case-Shiller home price index released in May. Home prices in the wider, nine-county San Francisco Bay area posted a 12th straight month of double-digit price increases last month, according to research firm DataQuick. DataQuick said Thursday that the median price for new and existing houses and condominiums reached $519,000 in May, up 30 percent from the same period last year. Condos in the South Beach area are going for $1,000 a square foot, the Chronicle reported. At 96 square feet, the parking space was a relative bargain at $854 per square foot. Sullivan said the building where the parking spot was sold was built before the city restricted spaces to one per unit. It is one of the few buildings that allows nonresidents to own a spot. The owner has a deed and must pay property taxes and homeowner association dues. The sale was all cash.